Monday, August 3, 2018 - Cops from Pangani Police Station are on the spot after they allegedly killed an innocent Somali man who was a professional boxer. 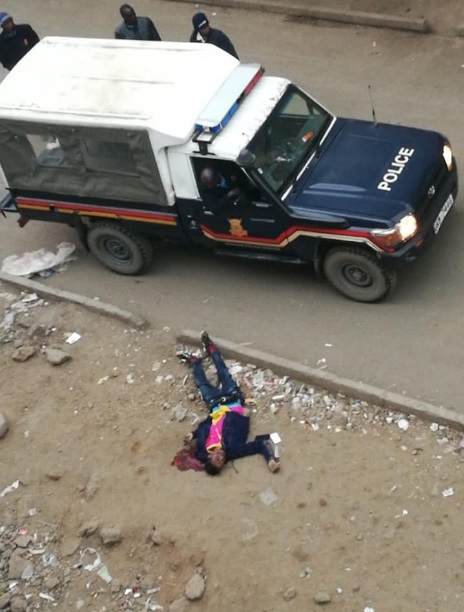 The Somali man by the name Liban Jamal was shot dead when he confronted cops to demand for answers after they killed his friend in Eastleigh, who was allegedly innocent. Instead of the cops maintaining their cool, they shot the fast rising boxer and killed him on the spot. Here’s what Ex-NTV journalist Yassin Juma posted on the extra-judicial killing of the Somali boxer by cops at Parklands.